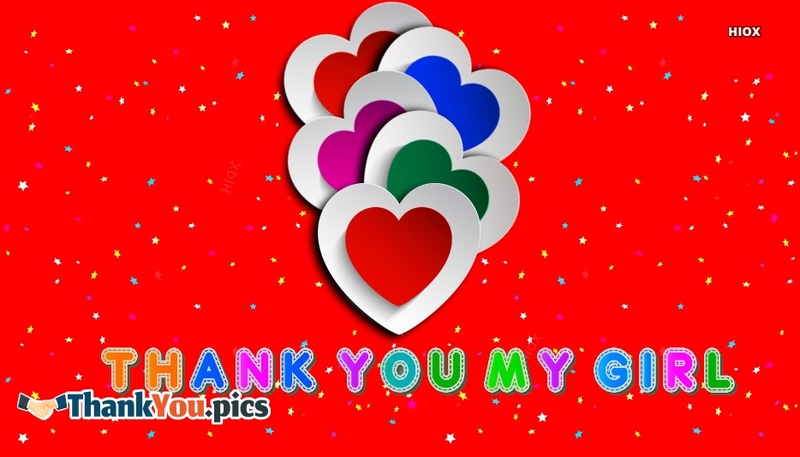 A beautiful way of thanking your girl with this red-shaded and love filled thank you image. The colourful love hearts displayed in this picture could make your dear love feel your heart. Send this "Thank You My Girl" picture via facebook, whatsapp, etc.